ILIFE offers a few different robotic vacuums in their robo vac range. Two of their ranges are the A series and V series. 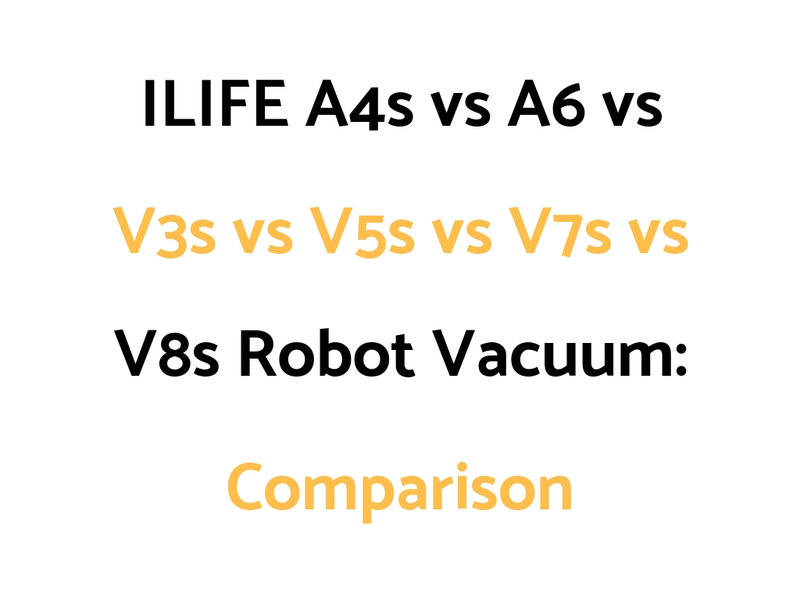 To save you time and research, we’ve put together an ILIFE A4s vs A6 vs V3s vs V5s vs V7s vs V8s Robo Vac Comparison Guide outlining the main differences and similarities between these robo vacs/mops. You should get a good idea of which one might be best for you based on matching up this information with your own preferences and needs. ILIFE A4s vs A6 vs V3s vs V5s vs V7s vs V8s: Which To Get? They are also vacuums only. With the exception of the V3s, the V series are vacuums and spot mops. The V3s is the most basic model, and the V8s is the most advanced model. In our opinion, the iRobot Roomba 690, 890, and 960 and 980 models are worth a look first, before the ILIFE models, as they are some of the better robo vacs on the market.